Over the years you meet some amazing people through twitter. One long standing mate of mine is Vic Perrotti @spawnofspider. We both have a passion for experimenting with many different creative outlets. We connected first through poetry. His blog Poetic Ambiguity quickly became a regular read, and you’ll find much of his writing here and his ebook Spider Dreams: And Other Poems 2011-2013 via smashwords. It wasn’t long after, that we began sharing our thoughts on painting, ceramics, folk art, home brew, linocut and photography. His inspiration is endless. When I heard that one of Vic’s photographs had been selected to appear in a new book I was thrilled. A kickstarter project that is well worth support particularly if you are inquisitive of the artform of Pinhole photography. What was it about pinhole photography that grabbed your attention? 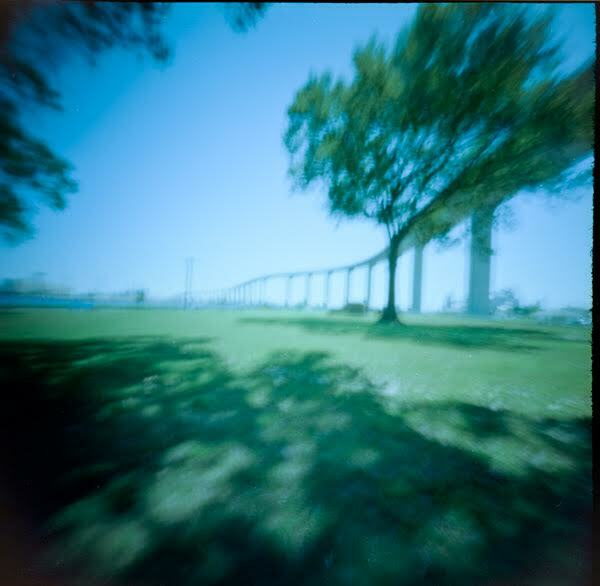 I remember the first pinhole pic I ever took. A row of date palms on President avenue. A contrast of ghosts, a streetscape I would never have seen with my own eyes or a standard camera. Exposing it to the light, standing still with this huge box in my hands, like I was about to release a bird. It was one of my favorite photos I ever took, lost in a mire of moves, the picture itself is burnt into my eyes as it was on paper. It is a fascinating process. “I can see an infinite depth of field through the pinhole. No longer am I concerned about adjusting the f-number. The entire landscape is revealed. Looking through the pinhole, I can see into the expanse. Like looking through a wormhole, the pinhole is a tunnel. The darker, less exposed edges of the vignette hold mystery while simultaneously the center is illuminated. For me, looking through the pinhole is like looking back in time. Vic is one of ninety-nine pinhole photographers included in the f/D Book of Pinhole. 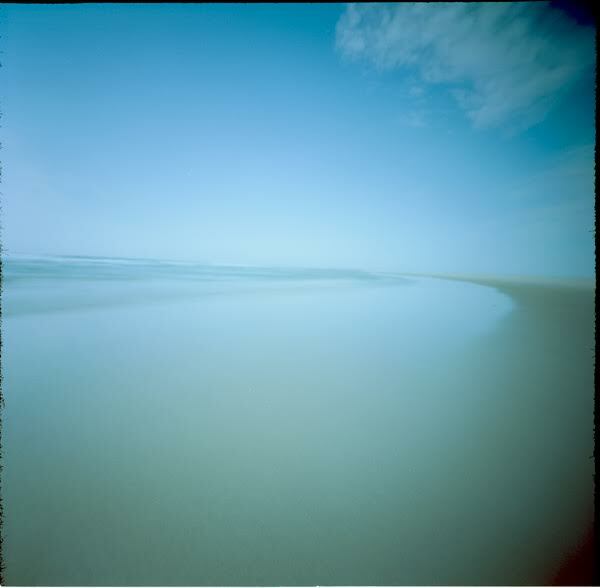 f/D is a website dedicated to promoting the art of pinhole photography. It was founded in February, 2015 by Kier & Libby Selinsky. The book project is on Kickstarter until January 1, 2017 and is currently over fifty percent funded. If you are interested in how pinhole works there are plenty of links online, if you want to see the magic results from photographers who have been doing it for years, take a look and consider supporting the project.